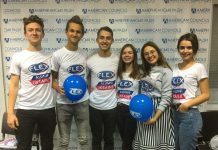 The FLEX Alumni Mentoring program in Russia is a six-month-long mentoring program aimed to connect senior and junior FLEX alumni for a unique professional development opportunity and to offer networking events for the wider FLEX Alumni community in Russia. 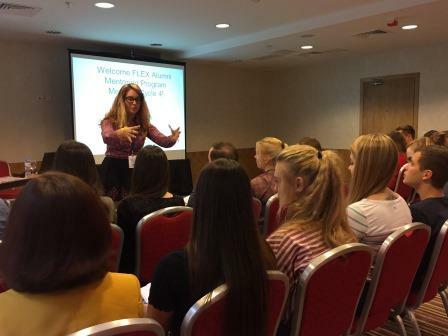 The program is funded by the U.S. Embassy in Moscow, Russia for FLEX alumni. Cycle 4 of the program was launched on October 6-7. 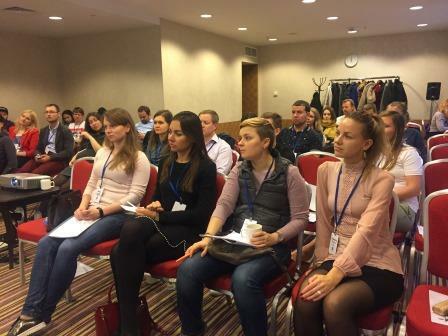 Participants included senior FLEX alumni (’94-’09) who are currently pursuing their mid- or long-term career goals, and sunior FLEX alumni (’09-’15), who are currently students or recent university graduates entering the Russian workforce. Participants of the FLEX Alumni Mentoring program work or study in cities such as Moscow, St. Petersburg, Ufa, Tomsk, Kemerovo, Kazan, Voronezh, and Oryol in Russia. On the first day of the training, mentees met Dr. Paul Harper, Clinical Assistant Professor of Business Administration at the University of Pittsburgh Katz Graduate School of Management, who provided an overview of the program and introduced the topic of Mentorship in the Age of Global Innovation. 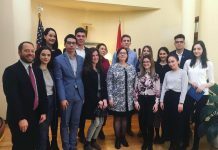 In the evening, mentors and mentees met each other in person for the first time at the residence of Suzanne Bodoin,Public Affairs Associate of the U.S. Consulate General in St. Petersburg, who was serving as a host for the program for the second time. Carter Johnson, American Councils Regional Director for Russia, Moldova, and Romania gave the opening speech to the program participants. Other speakers of the night included Timur Timurshin’97 (Kazan, Russia/ OceanSide, CA), a mentor of the last three program cycles and Yermakova Yuliya ’09 (Moscow, Russia/ Lecompton, KS), a medical doctor and mentor of Cycle 3, who discussed their positive experiences as former mentors and why they chose to return as mentors for Cycle 4. The evening ended with delicious food and networking within and without the new mentoring pairs. The following morning welcomed the Cycle 4 participants with information regarding communication between the mentor and mentee, proper goal setting and expectations of everyone involved. The morning session ended with each pair meeting to discuss their future plans and meetings with each other. After lunch, the mentors stayed for additional training sessions lead by Dr. Harper. Cycle 4 differs from the previous cycles for multiple reasons. 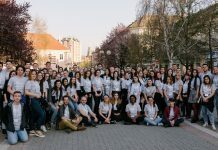 Cycle 4 represents participants from different career fields, such as finance and banking, science and technology, medicine, arts, international relations, law, management, linguistics, human resources, public relations and more. 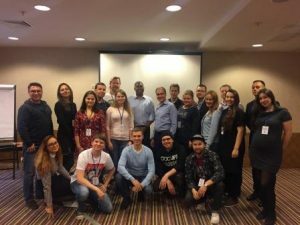 Additionally, the mentors received a two-hour training session from experienced mentor Denis Pimenov ’00 (Voronezh, Russia/ Ft. Wayne, IN), which had not been part of previous years’ agendas. 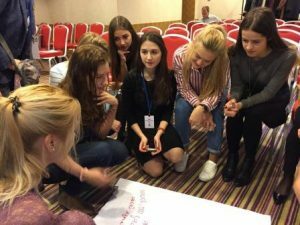 Pimenov discussed the different types of mentors and mentees, problems faced by participants during the first three Cycles of the FLEX Alumni Russia Mentoring program and how to solve them, and generally how to have a positive experience within the program. (St. Petersburg, Russia/ Galveston, TX). The performance featured Lev adapting breakdance moves to a traditional Russian folklore song sung by Daria. All of the trainings were held for the second time at the Courtyard by Marriott St. Petersburg. For the next six months, mentees and mentors are committed to participate in monthly in-person or virtual meetings, and online educational courses. 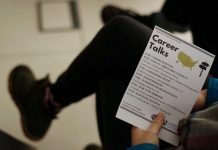 They are also invited to participate in networking and professional development events (online and in-person). The FLEX Alumni Russia Mentoring Program coordinators look forward to hearing about the first milestones of the participants from Cycle 4.